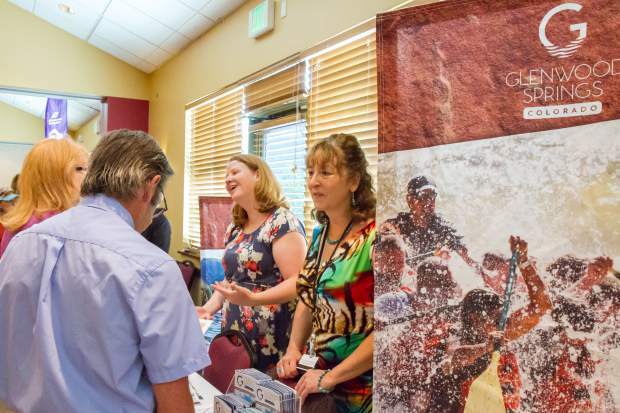 Glenwood Springs Tourism Marketing Project Manager Cristin Barta speaks to members of the public at the Grand Avenue Bridge Open House Community Meeting Tuesday morning. Kathleen Wanatowicz speaks with members of the public about the bridge detour during the Open House Community Meeting on Tuesday morning. 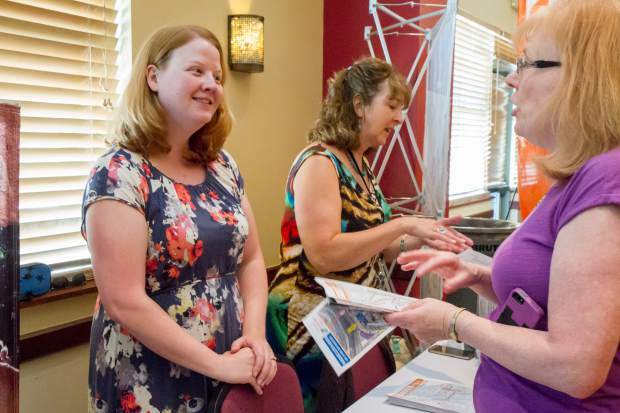 Cristin Barta and Lisa Langer with Glenwood Springs tourism speak with members of the public during the Grand Avenue Bridge Open House Community Meeting on Tuesday morning. 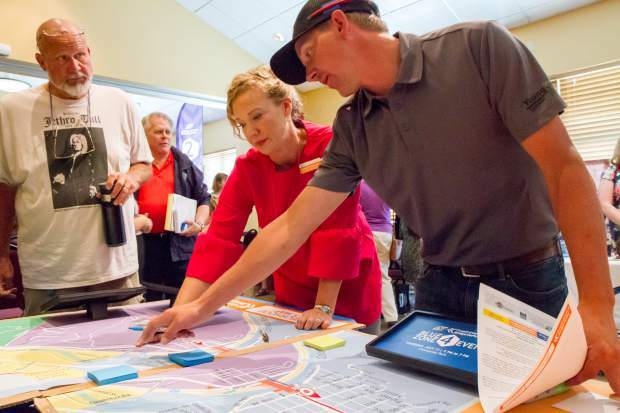 Kathleen Wanatowicz with the Grand Avenue Bridge Project explains a detour map to Daniel Jurmu during the Open House Community Meeting on Tuesday morning. Aug. 14 will see the transformation of a two-block stretch of Sixth Street into Glenwood Springs’ own version of Grand Central Station. Once the existing Grand Avenue bridge is out of commission, the area will be the epicenter in the effort to try to take 700 vehicles per hour off of the Grand Avenue/Colorado 82 detour route. The detour will be in place for 95 days while the final segment of the new, $125 million highway bridge is being built. Roaring Fork Transportation Authority’s Grand Hogback bus route, serving western Garfield County, and Ride Glenwood buses serving the north side of town will drop passengers near the north end of the pedestrian bridge. Both will be free during the detour. Commuters will either disperse to downtown destinations or grab a free shuttle on the other side of the bridge, near the train station, to continue their journey to the south end of town or points beyond. “RFTA is doing that to avoid Exit 114” and the Midland Avenue portion of the detour, Project Engineer Graham Riddle explained at a Tuesday open house. 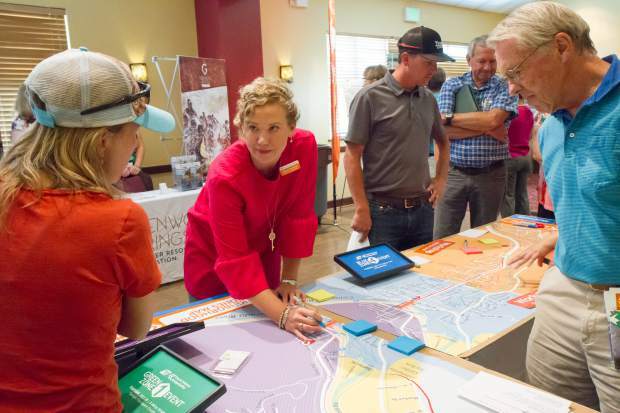 The meeting focused on detour planning in an effort to get people thinking about their local and regional travel options. It was the first of two planned pre-detour open houses, and was attended by more than 150 people. Interstate 70 Exit 116 will remain open and fully functional during the detour, Riddle emphasized. “Based on what we’re seeing, we think that will actually be the fastest way into and through Glenwood [for those using the bus], depending on your destination,” Riddle said. The Sixth Street hub will also feature bicycle corrals for those who wish to bike their way into the central part of town, and places for carpoolers to drop off passengers. Key to making the detour work will be to reduce existing traffic volumes by up to 35 percent, especially during the peak morning and evening commute times from 6-9 a.m. and from about 3:30-6:30 p.m., Riddle said. 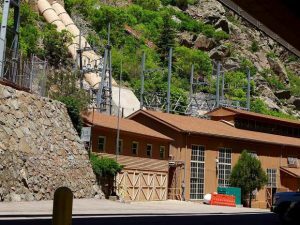 If not, the result will be hour-plus delays getting through Glenwood Springs, he said. It’s a behavioral change that can be broken down using simple math to divide up that 700 vehicles per hour reduction, said Kathleen Wanatowicz, public information manager for the project. It’s 150 people deciding to use RFTA instead of driving, and another 150 arranging to car pool or get in on one of the specially permitted employee van pools that will be allowed to use a dedicated lane through part of the detour. It’s another 100 parents either setting up car pools or putting their kids on the school bus instead of driving them to school. It’s 100 people biking, walking or using Ride Glenwood to get around town, 100 people shifting their work schedules to off-peak hours or “telecommuting” from home and another 100 people simply avoiding rush-hour times altogether, Wanatowicz said. Joan Troth and Vicki Monge, both of Glenwood Springs, said after the meeting they plan to be among that latter group. “I certainly will be avoiding those peak hours, and it’s up to all of us to educate ourselves on what they are offering as far as the best ways to get around town,” Monge said. 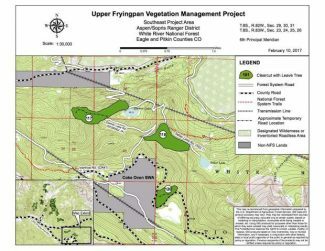 “I will try to plan any activities or shopping so that our impact will be as low as possible. Troth intends to avoid Midland Avenue and downtown, especially during those peak commuter times. If she has to get somewhere, “I can ride my bike if I need to,” she said. 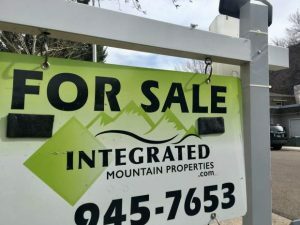 Dan Enright, who lives near the CMC turnoff on Colorado 82, said it will mean carefully planning his shopping and post office trips into Glenwood to avoid adding to the traffic congestion. Unlike emergency bridge or freeway closures in big cities, local commuters have plenty of time to plan their options, Riddle said. “We have a lot of notice, we know it’s coming, we know the duration, and it’s something we can wrap our heads around,” he said. Ultimately, getting through that 95 days will come down to patience, Glenwood Springs Police Chief Terry Wilson said. That includes allowing emergency vehicles to get through the detour when they need to. Emergency responders from multiple agencies and hospitals have met regularly to address that very concern. One strategy will be to stage emergency equipment on either side of the detour, and use real-time traffic cameras to monitor for any major delays, Wilson said. In addition to the Tuesday open house and a second planned for Aug. 1, a series of specifically zoned neighborhood meetings are designed for neighbors to work with each other to plan ahead. The first is today for those living or working along the north Midland section of the detour, from 7-9 a.m. at the West Glenwood Park and Ride. It’s being held in conjunction with Colorado Bike to Work Day.